Unfortunately, we are not all in the same situation as Kobe Bryant on Twitter who was able to rack up over 500,000 followers in less than 48 hours. Many of us have to work hard to even build a small following to our social media profiles. That is why I have created this post about some rules and general guidelines for success. 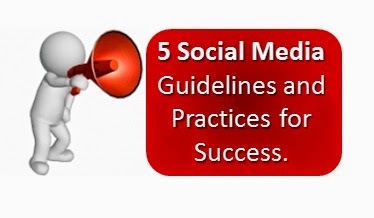 If you can follow these social media strategies and guidelines, then you will be well on your way. Keep in mind as you read this that I am generally referring to websites like Facebook, Twitter, Google+, Instagram, and Pinterest. Most will pertain to your business and you will have to find the ones that are most important to you. For me, I am focusing on Google+ for professional connections, Twitter for my fans and target market, and Facebook so I can easily get my message out to those who follow my page. You can also focus on LinkedIn as well but I am not at this time. The main thing you want to be able to do is write an article, send it out to social media followers, and get them to share it and go to your website to read it. So Social Media is basically where you find, reach, and connect with your target market. I am going to be using the word ‘following’ when I refer to Facebook Likes, Google+ Add to Circles, and every other social networks respected term for it. If you are not able to easily build your social media profiles, then you need to connect with others to begin. Make a point to look for others in the same niche as you and follow about 10 per day. Then, share one thing of theirs that they have posted recently. Be sure you look for people who are active on social media. If you want to build followers then you need to stay active. It is not hard to update your profiles several times a day and connect with everyone who contacts you. 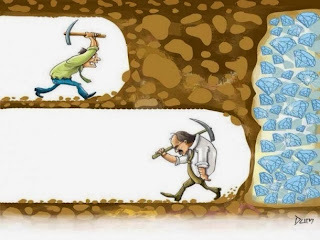 Remember, if you start tweeting 30 times per day now then it will pay off faster in the future. When you first start, and even as you keep going, you will want to limit and hide advertisements. People on Twitter are not stupid and they can tell an advertisement from a regular tweet faster than you know it. Your goal on Twitter should not be to sell something, but instead to send people somewhere for quality information. If people view you as a quality and authoritative figure, then selling becomes much easier. If you forget about your social media page, then your followers will forget about you. Of course you can take a day or 2 off here and there, but if you are not updating your profiles regularly, then you will lose followers. Plus, without updates, it becomes harder to gain followers unless you are already an authority figure. Keep up with trends in your industry by searching your keywords into news websites. If you can find Press Releases related to your niche, then you will know new information before others. For example, if you are in the ‘hair loss’ niche you might learn about the next big hair loss affiliate program before everyone else does. You ALWAYS want to be the first to report something new, and if you are not first, then you do not want to be too late. People like relevancy and you should be relevant. These are my 5 social media strategies for success. You should follow these and it will help you gain and keep followers. Of course nothing here is your quick and short solution, but if that existed (without investing money) then I would give it to you. Until then, just stay updated in your industry and be consistent. People will find you, follow you, and hopefully buy from you eventually.